Dagenais, Maxime. "Association des Frères-Chasseurs". The Canadian Encyclopedia, 17 November 2017, Historica Canada. https://www.thecanadianencyclopedia.ca/en/article/association-des-freres-chasseurs. Accessed 19 April 2019. In November 1837, following a political stalemate that had lasted for years, the more radical members of the Parti patriote rebelled. For decades, the Patriotes had attempted to reform the colonial political system, in order to make government more accountable to the elected assembly (see Responsible Government). Frustrated at having their demands constantly rejected (see 92 Resolutions), many no longer believed that reform could be achieved by peaceful means. Rebellion seemed to be their only option. 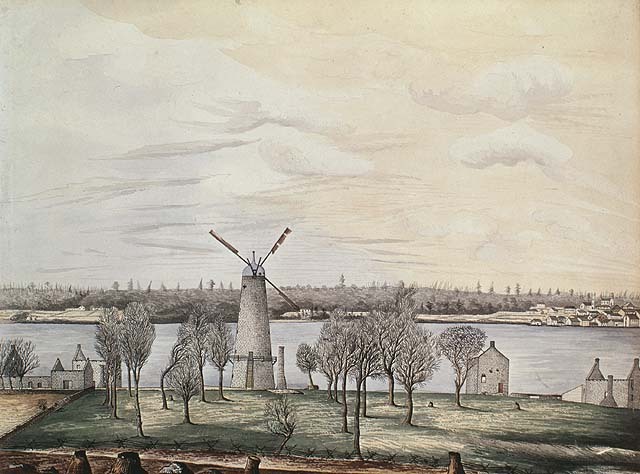 On 23 November 1837, a detachment of British regulars marched on Saint-Denis, a small village on the south shore of Montréal, to arrest Patriote leaders. 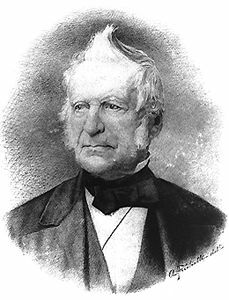 Lacking arms and experience, but well-positioned and organized, Dr. Wolfred Nelson and a force of 800 civilians defeated the British. This victory was short-lived, however. Two days later, Patriote forces were defeated at Saint-Charles and on December 14 at Saint-Eustache. 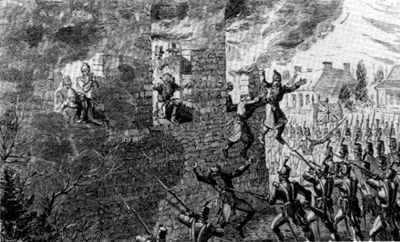 The Patriotes who had taken refuge in the village church were smoked out and killed by the British soldiers in the Battle of Saint-Eustache (courtesy Library and Archives Canada/C-6032). Following these defeats, several Patriotes, such as Ludger Duvernay, Robert Nelson, Edmund Bailey O’Callaghan and Louis-Joseph Papineau, sought refuge in the United States. They were divided on what to do next. While some moderates, such as Papineau, opposed an armed invasion of Canada without proper support from the Americans, Robert Nelson argued that an armed invasion — with or without American support — was the only option (see The Early American Republic and the 1837‒38 Canadian Rebellion). The latter option won out, and Nelson was selected as the general of the Patriote army and the president of the future Lower Canadian republic. 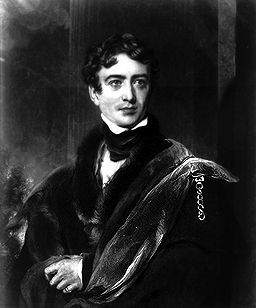 To organize an invasion of Canada, he founded a secret society: the Association des Frères-Chasseurs. However, the invasion was short-lived, as Nelson’s forces were pushed back by the loyalist militia. According to most historians, it was in the wake of this defeat that Nelson founded the secret society to organize Patriotes forces (and sympathizers) in the United States and Canada and to better prepare for a future invasion of both Upper Canada and Lower Canada. Recently, historian Julien Mauduit has uncovered evidence suggesting that the secret society was founded months earlier, in December 1837. 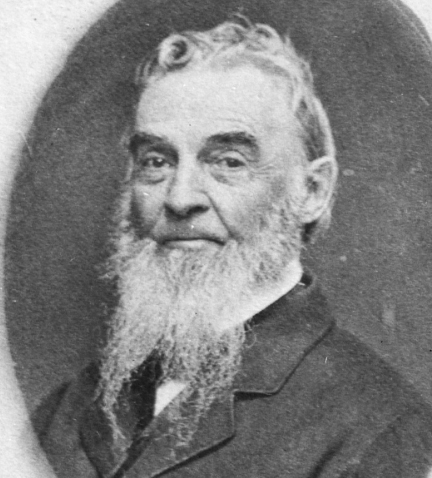 According to Mauduit, Côté, one of the society’s founders, had been in contact with Charles G. Bryant, an American supporter. In December 1837, Côté and Bryant invited Patriote leaders to a “private” meeting in Plattsburgh, New York. In a letter to Thomas Storrow Brown — a former leader of the Fils de la liberté society— Bryant mentioned that it was imperative that the Patriotes living in exile remain in communication. Patriote leaders, according to Bryant, agreed and added that an important meeting had been scheduled for 26 December to discuss these issues. To Mauduit, this meeting was undoubtedly when the secret society was born. Whether it was founded in December 1837 or following the failed invasion of February 1838, the secret society had one specific goal: to unite the Patriotes of Lower Canada, the reformers of Upper Canada (see also Rebellion in Upper Canada) and their American supporters in the fight against the British in North America. The ultimate aim was to push Britain out of North America, thereby creating two Canadian republics allied to the United States. To achieve this, the society would share intelligence, coordinate an invasion of Canada and other military activities along the border, and attempt to force a war between the United States and Britain. At the top of the secret society sat Robert Nelson, the grand commander, who directed his army from his main lodge at Saint Albans, Vermont. Under him were the two “Grands aigles” (Grand Eagles): Édouard-Élisée Malihiot — who commanded the northern “army” from Montréal — and Charles G. Bryant — who commanded the southern “army” in the United States. Under the Grands aigles stood the Aigles (Eagles) tasked with organizing companies in their districts. The Castors (Beavers) acted as the captains of each company and below them were the Raquettes (Snowshoes), or corporals. Soldiers were called Chasseurs (Hunters). Frères-Chasseurs leaders travelled from parish to parish recruiting members. As a result, the secret society grew rapidly in Lower Canada. By the end of summer 1838, there were 35 companies, including at Châteauguay, Trois-Rivières, Beauharnois, Longueuil, Boucherville, Varennes, Contrecoeur, Chambly, Saint-Charles, Saint-Denis, Brôme, Sutton, Stanstead, Nicolet, Saint-Hyacinthe, Pointe-aux-Trembles, Vaudreuil and Hemmingford. The majority and most successful ones were in Montréal and surrounding areas (the Richelieu and the Lac des Deux Montagnes regions). Estimates suggest that there were 3,000 Chasseurs in Montréal and roughly 10,000 in the surrounding region. Allan Greer argues that there was significant public pressure to join. For instance, Antoine Grégoire revealed that he joined because “all those who were not part of this association, their lives and their properties were in peril.” According to historian Gérard Filteau, the association’s success also owed much to Lord Durham who, in October 1838, argued that the colony ought to be given a British character. To many, this meant assimilation. The society was also popular in the United States. These chapters were known as Hunters’ Lodges. While Frères-Chasseurs companies were generally organized by Lower Canadians, the Hunters’ Lodges were organized by Americans. There were lodges all over the borderland, including grand lodges in Cleveland (Ohio), Rochester (New York), Buffalo (New York), Saint Albans (Vermont) and Detroit (Michigan). Though many American hunters sought the same thing as Lower Canadian chasseurs — to put an end to British presence on North American soil — others joined out of a deep frustration with the lack of political and economic opportunities in the United States. The Frères-Chasseurs were undoubtedly popular in Lower Canada and the United States. However, putting a number on this support is very difficult, with estimates ranging from 15,000 to 200,000. Though most agree that 200,000 is too high a number (with 40,000 remaining the most acceptable estimate), the fact remains that the society’s recruitment program was so successful that it forced the American government to send a military force to the border to prevent it from causing problems along the border and endanger the peace that existed between the United States and Great Britain. The association’s main military campaign was the failed invasion of Canada in November 1838. The attack plan was complex. While the Frères-Chasseurs and the Hunters’ Lodges invaded Lower and Upper Canada, Frères-Chasseurs organizations in Lower Canada would rise up, disarm loyalists, simultaneously attack centres including Sorel, Chambly, La Prairie, Beauharnois, Montréal and Québec, and block communications between Lower and Upper Canada. Robert Nelson would then march on Montréal. A few elements led to its failure. First, Nelson was unable to maintain discipline amongst his men. Second, the Frères-Chasseurswere ill-equipped with weapons and ammunition. On 4 November, a company was even arrested following a failed attempt to steal weapons and ammunition from the Mohawk people of Kahnawake. Keeping such a large association (and its goals) a secret was also nearly impossible. According to Allan Greer, the curé of Napierville, for instance, was aware that Lower Canadians were travelling to Champlain, New York, to take the oath. By November 1838, local authorities were aware that the association was planning something. Finally, the American government’s decision to uphold neutral relations between the United States and Great Britain limited American support for the cause. On the night of 3–4 November 1838, the plan was put into effect with negative results. Many of the regional associations failed to rise up and disarm loyalist forces, and in Montréal many leaders were arrested. And though Nelson’s forces arrived at Napierville and established “a substantial armed camp” that he maintained for roughly a week, the rebels were short on weapons and manpower, and were ill-disciplined. They were defeated at Lacolle (7 November), Odelltown (9 November), and Beauharnois (10 November). Following these crushing defeats, the rebel forces dispersed, and on 10 November the British entered a deserted Napierville. 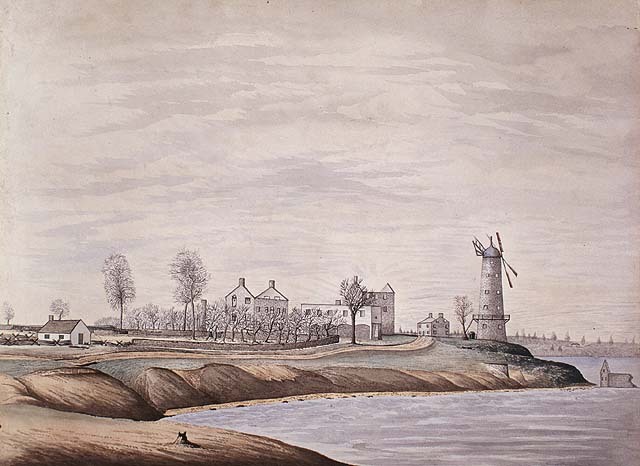 The hunters’ invasion of Upper Canada also ended in failure: they were defeated on 16 November at the Battle of Windmill and a few weeks later, on 4 December, at the Battle of Windsor. Though this battle was not the end of the Frères-Chasseurs, the association would never again threaten British authority in Canada. 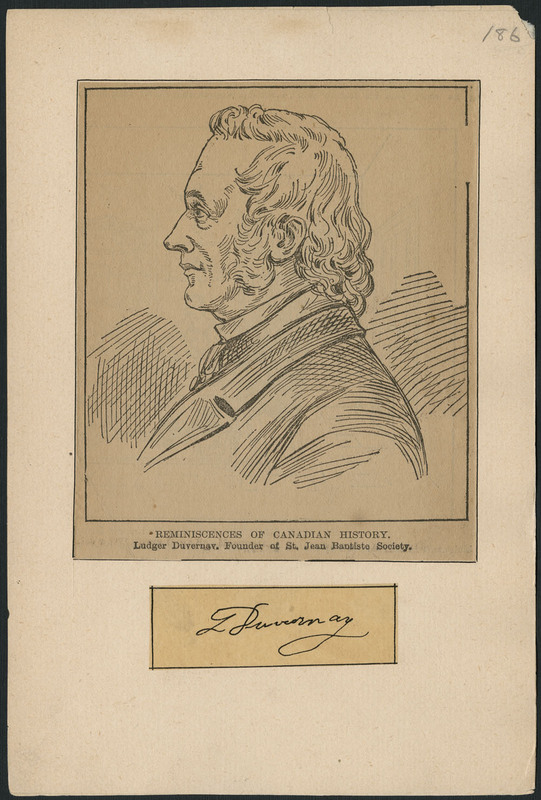 Many of its leaders in Lower Canada were arrested and executed — such as François-Marie-Thomas Chevalier De Lorimier, who played an important role recruiting Frères-Chasseurs and planning the invasion of Lower Canada in November 1838 — while others went into further exile. Immediately following the failed invasion, however, some still hoped that they could somehow force a war between the United States and Britain. In late 1838, Nelson even met with his followers to discuss their next steps. Very little would come of this. Though there was some hope that the Aroostook War would spark war between the two nations, this was not the case. The United States and Britain were committed to peace, which they settled in 1842 with the Webster-Ashburton Treaty, spelling the end of the Frères-Chasseurs. Oscar Kinchen, The Rise and Fall of the Patriot Hunters (1956). 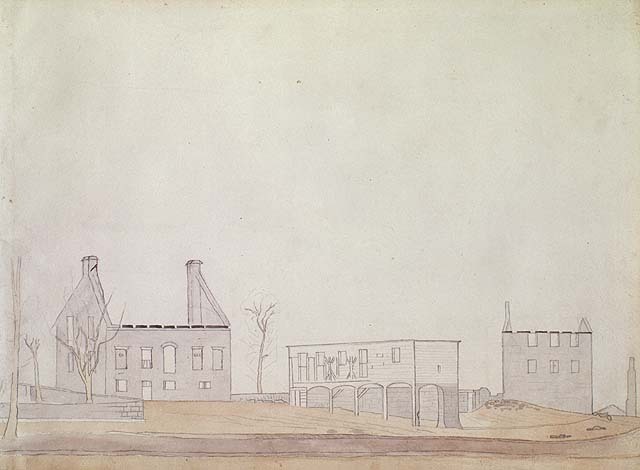 Elinor Kyte Senior, Redcoats and Patriotes: The Rebellions in Lower Canada, 1837–38 (1985). Allan Greer, The Patriots and the People: The Rebellion of 1837 in Rural Lower Canada (1993). Michel Ducharme, Le concept de liberté au Canada à l’époque des Révolutions atlantiques, 1776–1838 (2010). Yvan Lamonde, The Social History of Ideas in Quebec, 1760–1896 (2013). Julien Mauduit, 'Vrais républicains' d'Amérique: les patriotes canadiens en exil aux États-Unis (1837‒1842), PhD diss, Université du Québec à Montréal (2016). Maxime Dagenais,““[…] those who had money were opposed to us, and those who were our friends were not the moneyed class.” Philadelphia and the 1837–38 Canadian Rebellions,”American Review ofCanadian Studies,47, 1 (2017).